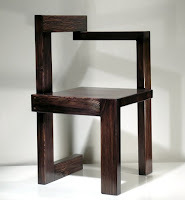 The chair has long been an opportunity for artisans and designers to explore form and function. 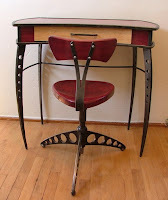 A good chair designer is a sculptor and most definitely an artist. Materials may be locally gathered or industrial state-of-the-art, and the goal may be a blend of comfort, style, ornamentation or purely decorative. Today's featured examples reflect an appreciation of the modern aesthetic, representing vintage mid-20th Century International Style, updated handcrafted takes on Craftsman Style, Scandinavian Modern and a whimsical interpretation of the classic Federal Style using modern materials. Click on the pictures to go directly to these Etsy listings. Prices range from $399.00 to $4500.00. 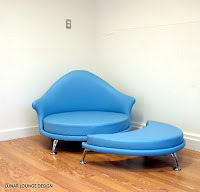 These chairs are gorgeous. Thanks for a great collection of furniture. Thanks for taking the time to comment. 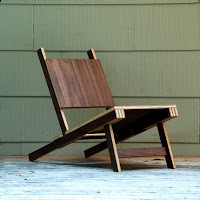 If anything is accomplished by this blog, my hope is that showcases like today's draw more attention to the level of originality and quality of design that is offered on Etsy, in nearly all product categories. A lovely collection. 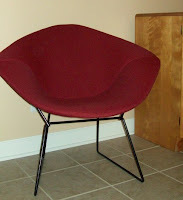 A variety of chairs, most I havent seen before, some never featured by the storque on etsy. 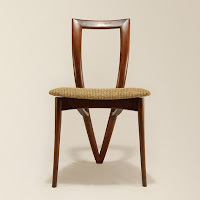 Thank you for showcasing janiesmash/Reed Hansuld's Dining room chair. Hi Janelle, That's my primary reason for starting this blog -- to create at least a little buzz for some of the many truly superb artistic endeavors of those who are routinely banished to obscurity on Etsy. Thanks for taking the time to comment. 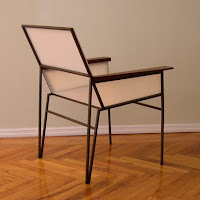 Your chair is amazing! These designers are really original in both concept and execution. I had found only one of the shops before this blog. Thanks for finding them and sharing the sites with us.